Trauma is one of the leading causes of alcohol and drug use, whether it’s among residents of Florida or anywhere else. Trauma can take many forms, including acute sexual or physical assault, family dysfunction, persistent bullying, workplace or everyday discrimination, car accident, injury, or countless other situations, and it’s common for victims to self-medicate using alcohol or other drugs. 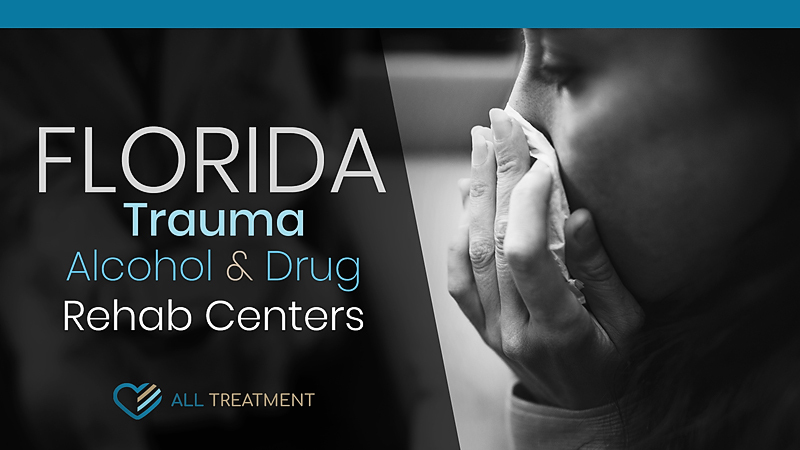 There are multiple Florida trauma alcohol and drug rehab centers that can help patients move past their trauma-related SUD to take control of their lives to come. Don’t let your traumatic experiences dictate your future. It’s easy to see how trauma can lead a person to substance abuse; however, an often lesser-discussed dynamic is the trauma that one can sustain through their actual use of illicit substances. The reality is that alcohol and drug addiction takes people to dangerous and undignified places, creating plenty of opportunities to sustain severe physical and psychological trauma. Whether it’s a friend and fellow user dying of an overdose, drug-related violence, severe withdrawal, or anything else, the traumatic impact of SUD can be crippling and often requires specialized treatment of its own. Understanding how trauma and substance use are related is the key to effectively treating victims. Very often, patients will require dual-diagnosis treatment for co-occurring trauma and substance use that involves simultaneous treatment of the mental health issue and the addiction. The reality is that most addiction treatment facilities will endeavor to confront trauma through group therapy, individual counseling, and supplemental therapies. Whether you or your loved one needs inpatient, outpatient, or partial hospitalization care for trauma in Florida, the process starts by searching our database of treatment centers to find the option that works best for you.